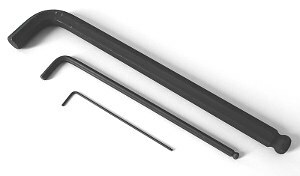 These Allen keys or wrenches from WERA feature a Hex-Plus head on the short arm, and a six-sided ball head on the long arm. Hex-Plus offers a bigger contact surface in the screw head, and so reduces the chance of wear and rounding off the corners in Allen head screws. 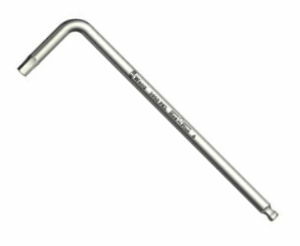 The ball on the long arm is designed to allow the key to be easily inserted into the head and permits the key to be turned at an angle, which is very useful in tight corners. The round shafts of the keys fit comfortably in the hand and help make the work as fatigue-free as possible. 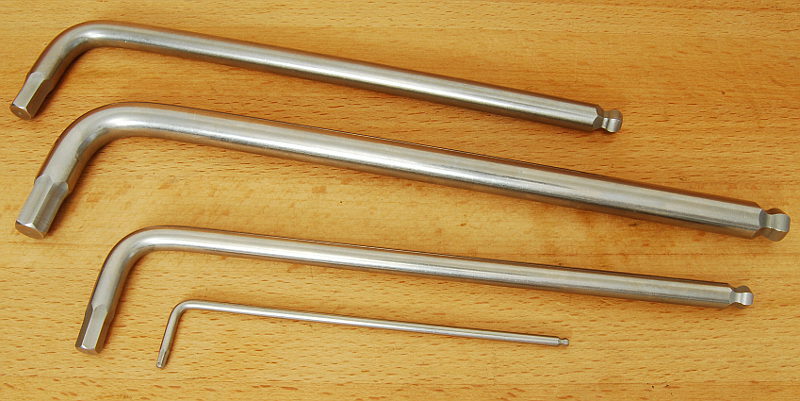 Because stainless steel is used for these quality tools, rust will not be a problem. If you should notice rust on the surface of the tools, this comes from using them to turn screws and bolts made of normal steel. The pressure exerted inevitably leaves behind traces or particles of the normal steels on the stainless key, and these then rust when exposed to oxygen. 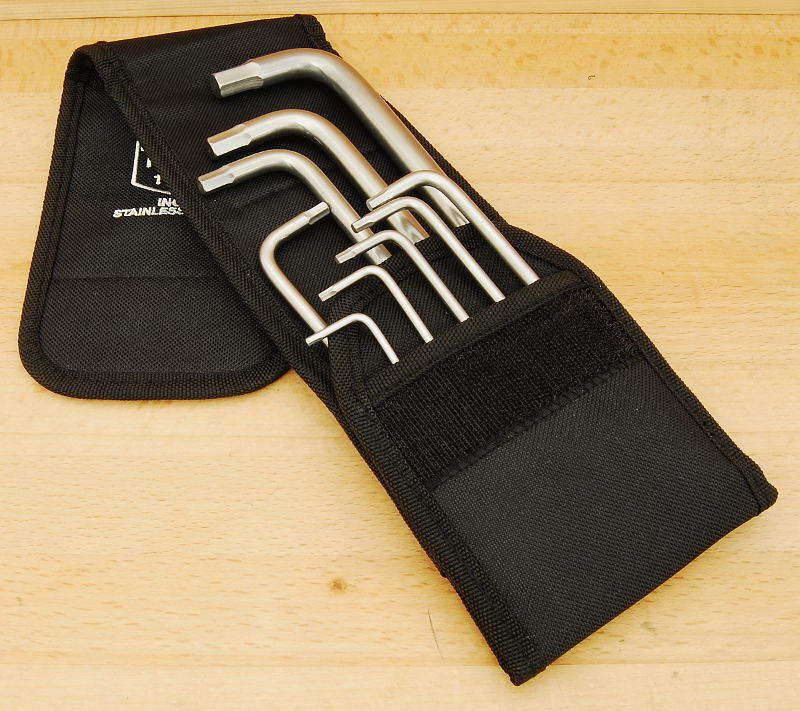 All 9 stainless Allen Keys in one set, comes in plastic holder. 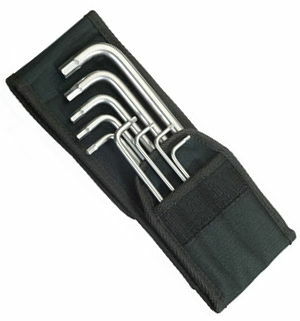 All 9 stainless Allen Keys in one set, comes in nylon bag. 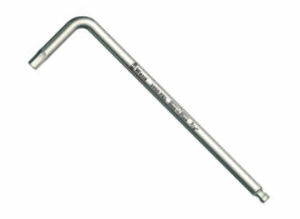 These Standard Allen Keys offer a larger range of sizes than the stainless types. Note: 0.05 inch and 1/16 inch have conventional hex heads on both ends!